Lonomia electra is a beautiful and fascinating silkmoth found in Central America (El Salvador, Guatemala, Mexico, Belize, Honduras, Nicaragua, Costa Rica, Panama). 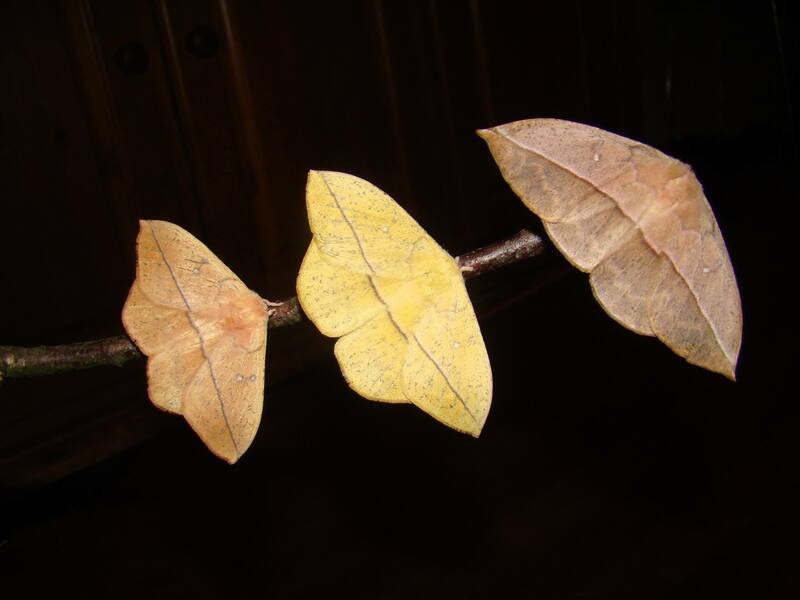 The moths very much resemble leaves, and may be hard to find between vegetation or leaf litter. The females are large and greyish while the males are rather dimorphic and can be either yellow or rustic orange. 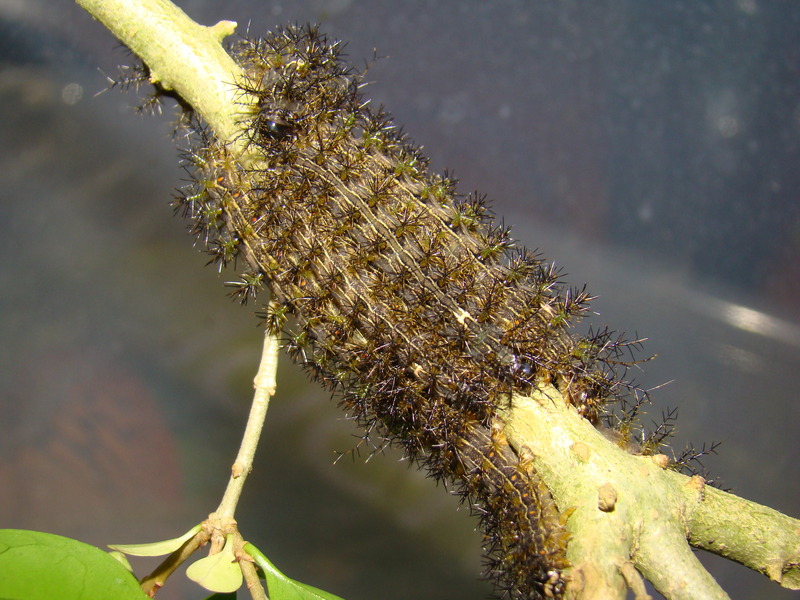 The caterpillars are gregarious and travel and feed in large groups that may contain many individuals – the caterpillars are also toxic and have urticating venomous spines on their bodies. They can be found feeding on many types of plants. Lonomia have a grim reputation. “Assassin caterpillar” or, in Spanish, “taturana”—these are the names appointed to caterpillars of the genus Lonomia. It’s a name rightfully deserved: Species of the South American genus Lonomia are of medical significance due to their larval forms that may cause severe envenomation and even death to humans. Lonomia are often considered to be the most venomous Lepidoptera on earth, in particular L. obliqua, of which the hemotoxin is known to inflict severe envenomation and cause disseminated intravascular coagulation and haemorrhagic disease in victims, potentially resulting in death. This all sounds very dramatic, but not all species of Lonomia are as dangerous as this; in fact out of about 32 described species (actually about 11 if you disregard the species described on basis of molecular analysis) only two species have proven to have dangerous blood thinning venom, the Lonomia obliqua and Lonomia achelous. While the other Lonomia species are not to be labeled as ‘harmless’ they are certainly not deadly, although touching their venomous spines may result in a burning urticating sensation. While it feels uncomfortable, this will not have any negative long term effects on your health. 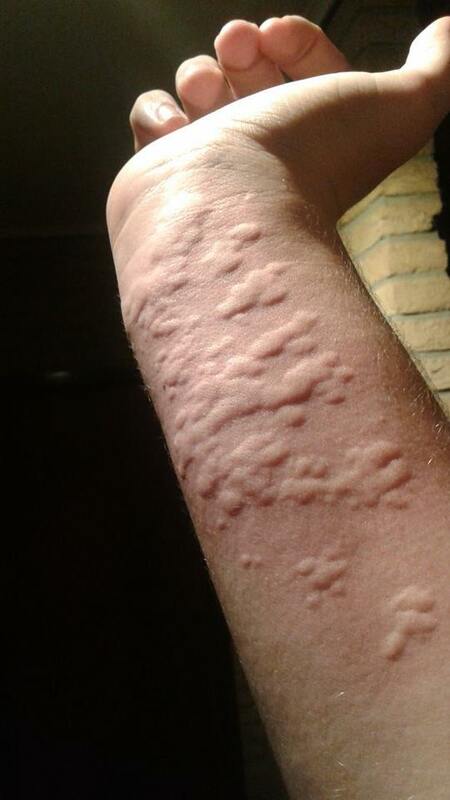 Lonomia electra is one of the less harmful species and their sting is rather comparable to that of a stinging nettle. However, as a genus of potentially deadly caterpillars one should treat them with some appropriate respect. The caterpillars of Lonomia have one of the longest development times as larvae out of all Saturniidae; they start to pupate after 90 but up to 110 days time. They will feed on a large variety of plants including Fagaceae (Quercus, Fagus) , Rosaceae (Prunus), Oleaceae (Ligustrum) and potentially many more plants. 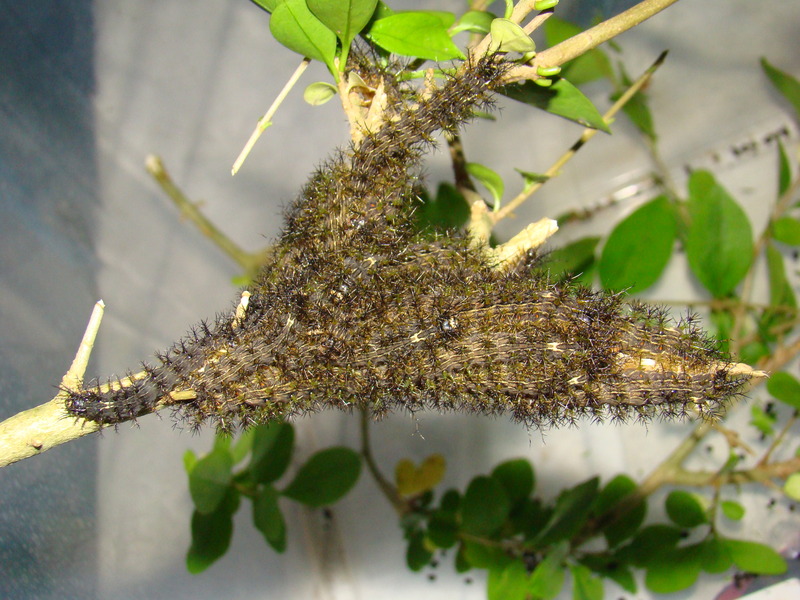 The polyphagous caterpillars will roam the vegetation instead of staying on a single food plant, and defoliate parts of their food plants as a big group. While most caterpillars of social species become solitary in the final instar, Lonomia electra caterpillars remain social up until the moment they want to pupate. While they spend almost 1/3rd of an entire year as larvae, the pupal stage is rather short and seems to last one or two months as most, producing consective broods. 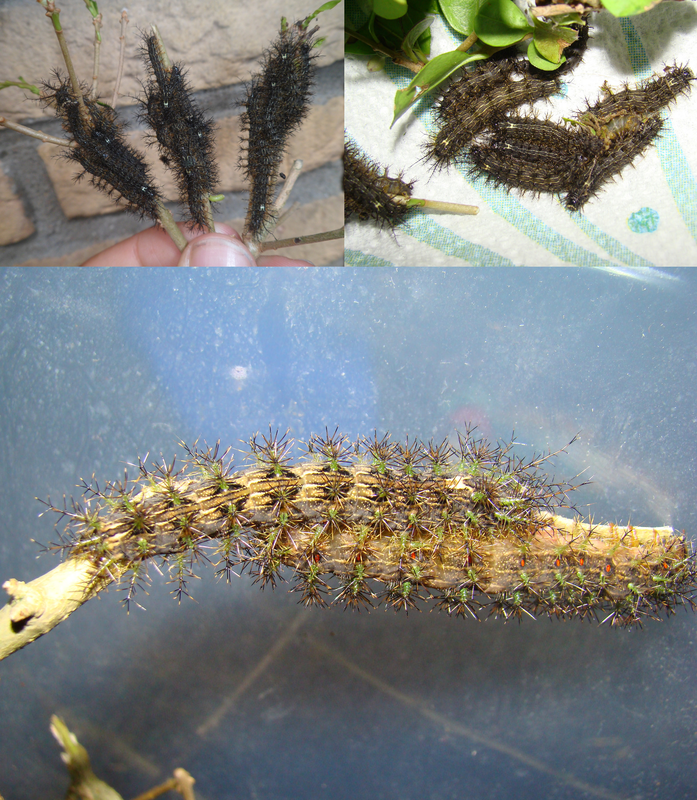 It seems that this species makes it through the more unfavourable (dry) seasons as larvae, not pupae. After hatching, the short lived non-feeding moths quickly locate a partner, pair, lay eggs, and die. The eggs of Lonomia electra take a full month (25-32 days) to hatch. Disclaimer: You will notice that this page includes pictures of me handling the larvae. I do not recommend others to do this, despite the fact that Lonomia electra does not seem to be very dangerous; if one were to confuse it with another species of Lonomia, the mistake could prove to be fatal. In that regard I accept it as my personal responsibility. 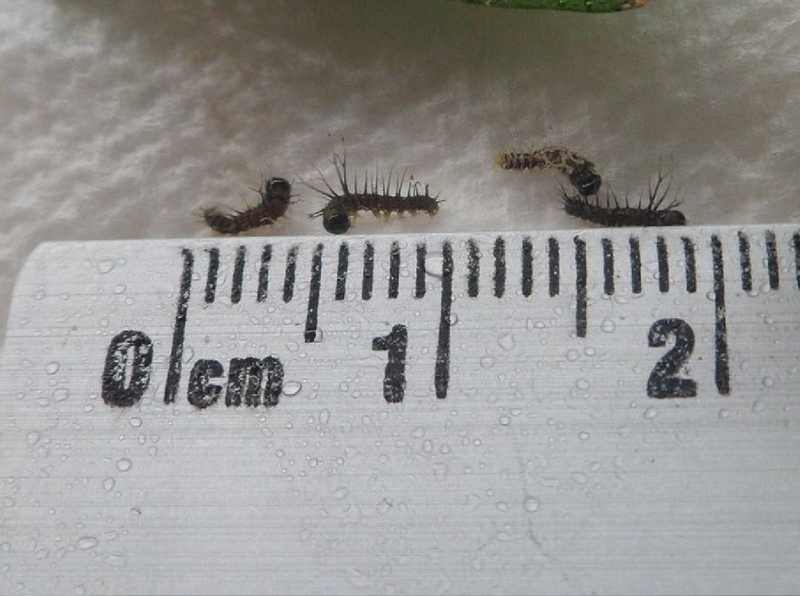 I did however very carefully test the sting of individual larvae/spines before handling many of them. While I was careful, it does not mean my actions are responsible, and it is best that my readers do not repeat them. Difficulty rating: Very easy – Easiest Saturniidae I bred in my life, I produced 28 adults from just 30 eggs, which I paired up and them kept breeding the same bloodline for over 1.5 years, producing over 300 individuals from that line over time. Health warning: Caterpillars have venomous spines that urticate. 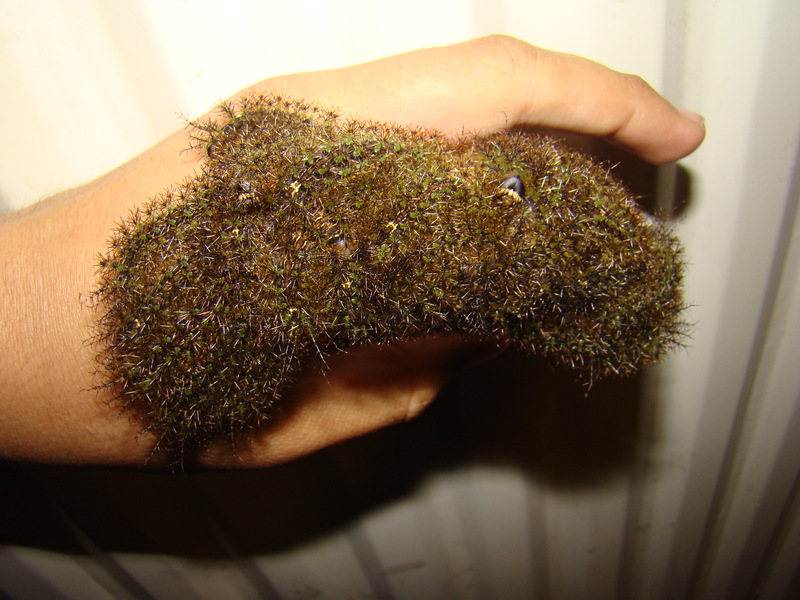 While the sting of Lonomia electra seems to be painful and otherwise harmless, some Lonomia species are recorded to be deadly upon skin contact – such as Lonomia obliqua and Lonomia achelous from Brazil and Peru. For that reason alone extreme care should be taken when handling any Lonomia, even the harmless species. You never know. Lonomia seems gregarious up until the final instar – this means they exihibit social behaviour for the entirety of them being caterpillars. They seem to tolerate being reared in plastic boxes with no ventilation at all quite well and withstand the highest degree of humidity. The rearing takes quite a lot of patience, however it seems that the pupae hatch quite fast (in a month). Pupae should be sprayed frequently as this species seems to prefer a higher degree of humidity and pupae dessicate rather fast. The larvae do not spin a cocoon before pupating; in fact they will lazily lie down on the floor and pupate on the spot. They do not even seem to attempt to burrow that much – I theorise that in their natural habitat the larvae pupate between the leaf litter covering the forest floor, giving them the opportunity to just lie down somewhere on the ground and pupate. 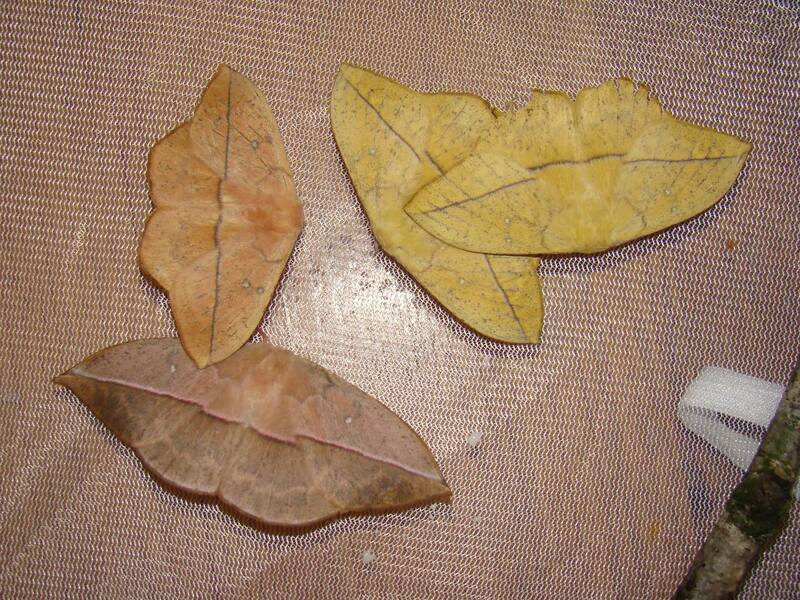 These Lonomia from Costa Rica seemed to do quite well on Ligustrum ovalifolium in captivity. A lot of patience is needed to rear them as they larvae have an extremely slow development rate for a Saturniidae (I recorded over 100 days). Eggs seem to take a month to hatch aswell. Read more about my research! Lonomia electra is the first species I have reared from this genus, and they fascinated me a lot. After studying their life cycle for 1.5 years and publishing this data, I now have extensive knowledge of this species. For those interested, here is some background reading and my publication: Up close and personal with venomous moths (AES) or for the .pdf file of the scientific publication: Click here for science! The eggs of Lonomia electra are creamy yellow, but a clear white band runs along the edge of the eggs. They take about a month (30 days) to hatch in 21 degrees Celcius. 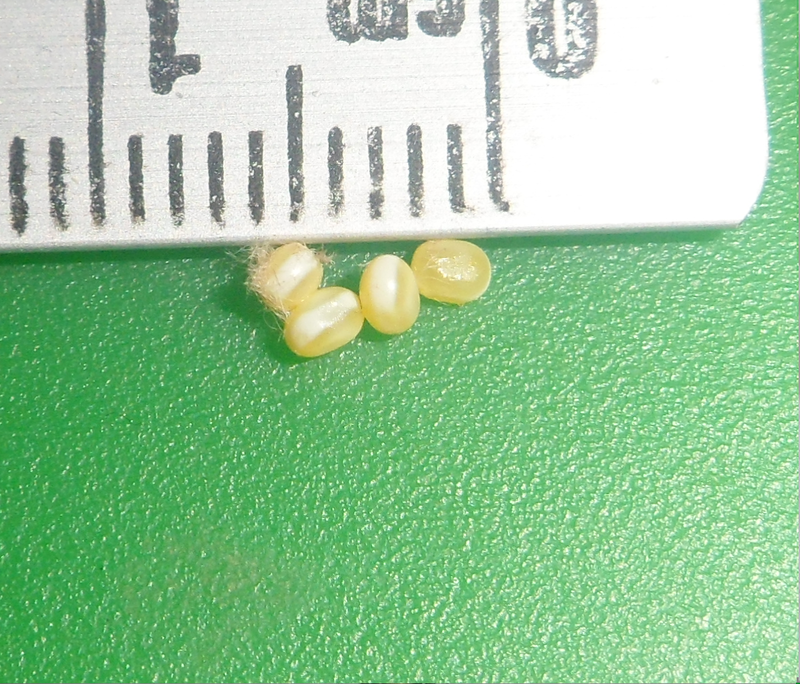 The eggs are quite robust and do not need special temperatures or humidity, although it takes them longer than most Saturniidae to hatch. After one month, about 4mm long caterpillars will hatch from the eggs. They will form a group and travel and feed together – they seem to roam the vegetation a lot. 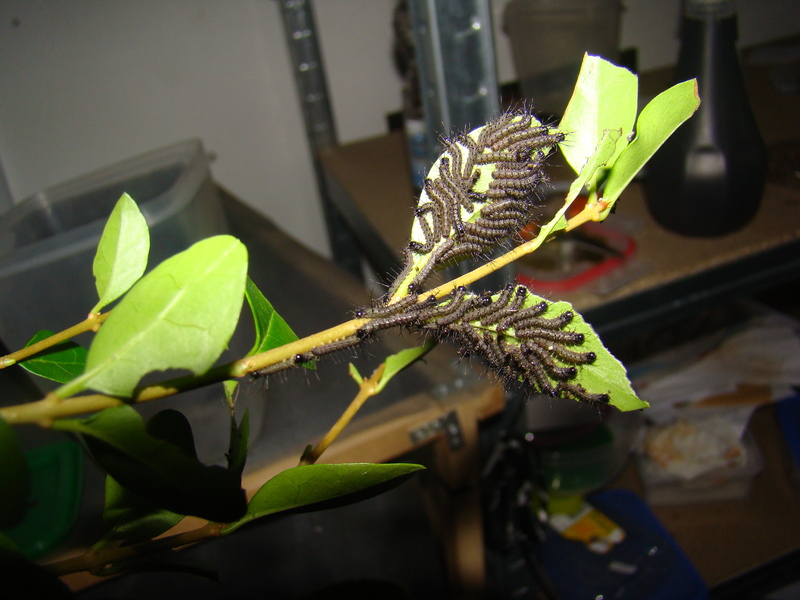 Breeding Lonomia on Ligustrum was worthwhile, but in captivity they should eat Prunus and many other Rosaceae too, and perhaps a wider range of host plants too since they are reported to be quite polyphagous. More experimenting will be needed to confirm other host plants. 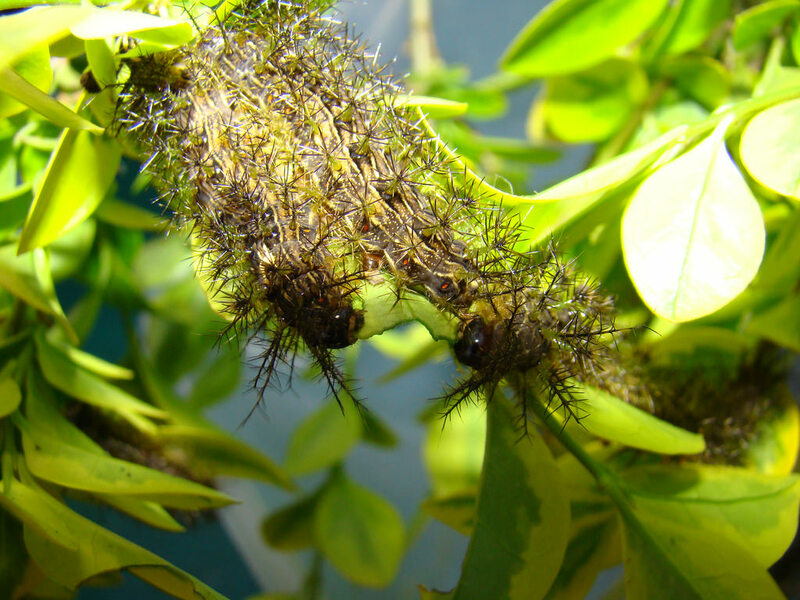 The caterpillars of Lonomia electra have the habit to roam the vegetation and will not stay on their food plant like most caterpillars. In captivity, the group often descends to the top or the floor of the container. In the wild they most likely forage and feed on several types of plants and shrubs they randomly encounter in their habitat. When the caterpillars are fully grown, they descend to the floor and pupate in the soil. They do not make much effort to burrow but look for leaf litter or crevices. It takes about 90 to 110 days for the larvae to become fully grown (from egg to prepupa) which is exceptionally long for a species of Saturniidae. 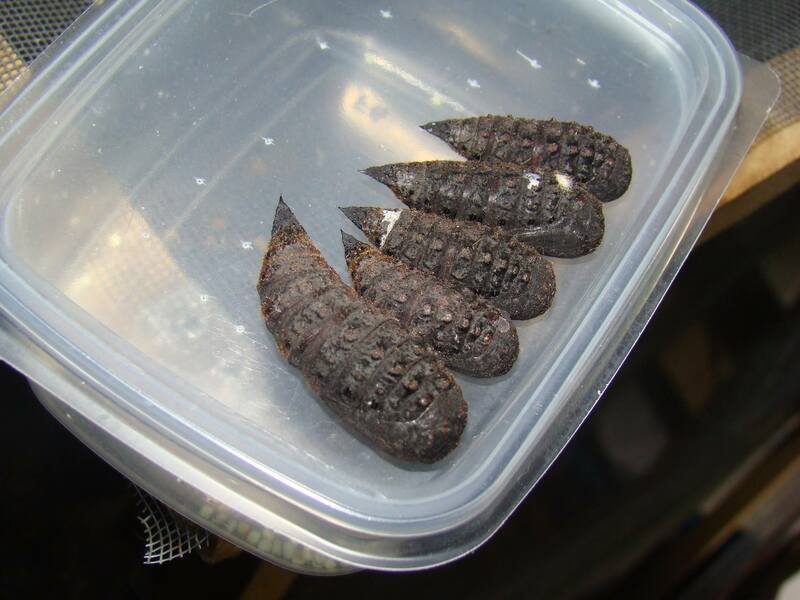 The pupal phase is short however, and the moths tend to hatch in 1 to 3 months time. Pairings seems to last very short and unnoticable; despite breeding these in very large numbers for three generations over a span of 1.5 years, never have I observed the actual pairing. 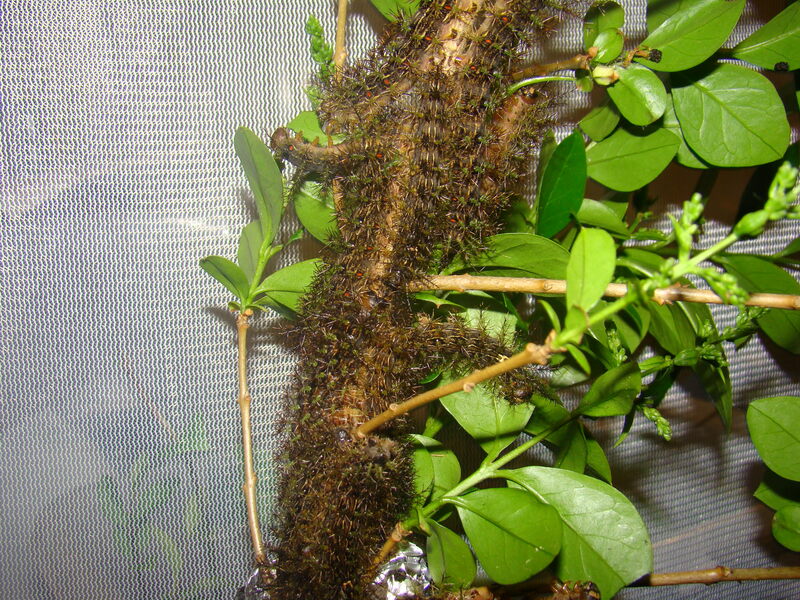 Rearing this species in captivity should be easy even for beginners as long as they remember to keep the caterpillars together in one large group (the more the better, these thrive in bigger groups not small ones). They even seem to tolerate a bit of neglect and mold in their containers. From my experience it was a very easy and hardy species to breed in captivity. The adults seem to exihibit nice polymorhism. The females are always grey (though significantly larger than the males) while the males have two different colour forms: one orange/brownish rusty colour, and one lighter yellow form. Contact urticaria from touching Lonomia larvae. DO NOT TRY THIS AT HOME, SOME LONOMIA SPECIES CAN BE *DEADLY*.